Traveling to new places often requires us to adapt to new environments, new people, new cultures. To cut a long story short: when we travel, we’re constantly learning about the truth of a country. We do this by getting to know its history, how the lives of the people here developed throughout time, what core events took place and in which venues. Each country has a story to tell: about the perks of reality, the turbulences of the past and the prospects of the future. 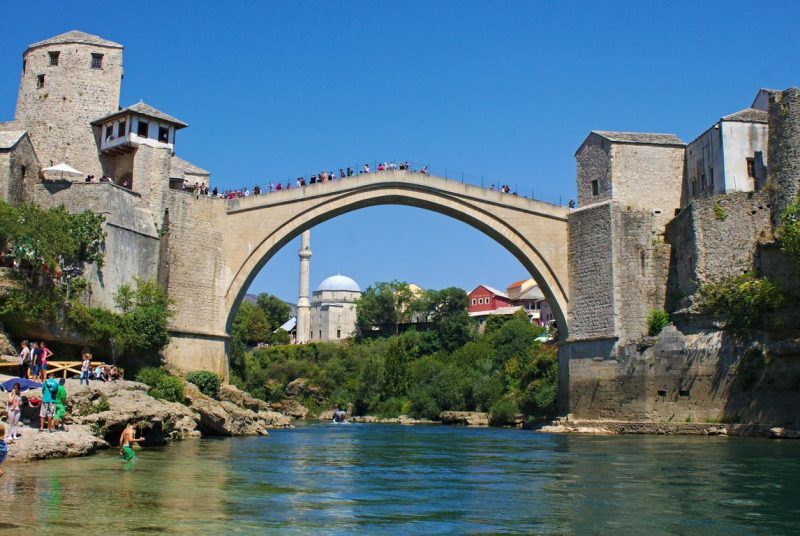 Bosnia & Herzegovina is a fairly unusual destination for the average traveler. 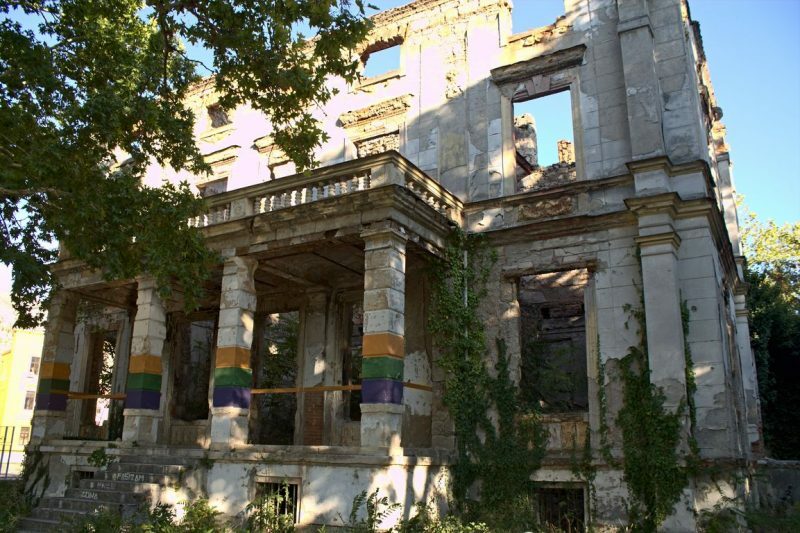 People who decide to travel to this part of the Balkans are truly interested in the history and the challenges people living here had to face in the past until present. We’ve chosen to put the spotlight on 5 places within the country that have the power to uncover the truth about this country. 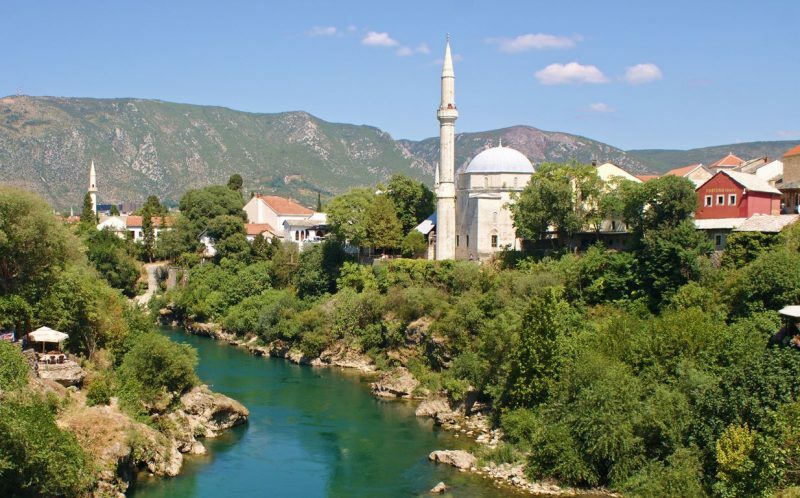 These places will bring different aspects of life in Bosnia & Herzegovina closer to you. What truth can be learned here? The truth of how war shook up the lives of the people. No element holds greater power to explain what happened to this country than the element of the bridge. Not any bridge but the Old Bridge of Mostar, a city that even literally translated means Old Bridge. The bridge symbolizes a unity between two different parts. 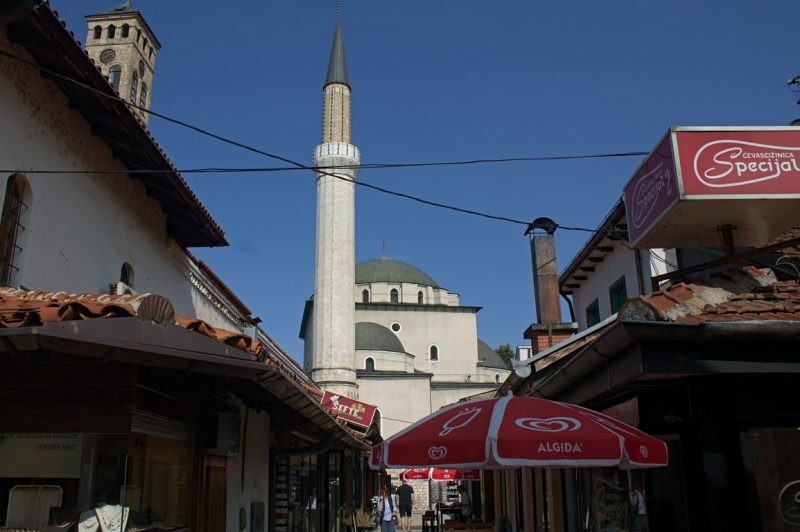 It connects the two opposite cultures of the Bosnian Muslims and the Bosnian Christians. Two worlds that couldn’t be more distinguishable within their system of belief, their way of life and the values they raise their children with. Embodying the unity of these two completely opposite systems, you can imagine how hard it hit the people when the bridge was bombed during the war. It was not the damage of the bridge that hit the people but mostly the damage of the symbol represented by it. The different ethnic groups once living side by side, split apart and peace was an ideal hard to attain. 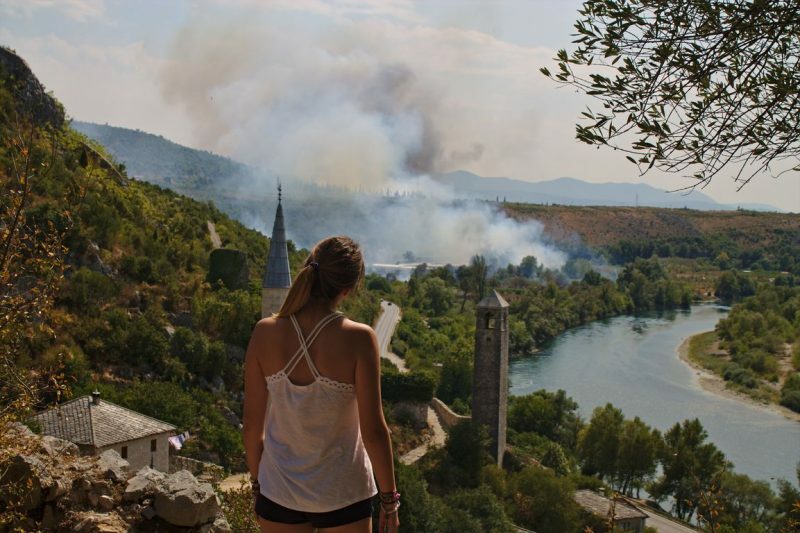 Today, many of the buildings in Mostar have never been rebuilt. Nature has made its way through broken windows and doors and turned the interior of the houses into a wild jungle, sometimes covered with street art, but, more than that, littered with trash. War memorials remind the people of how important tolerance and forgiveness is and let them never forget what drama occurred here and that not long ago. 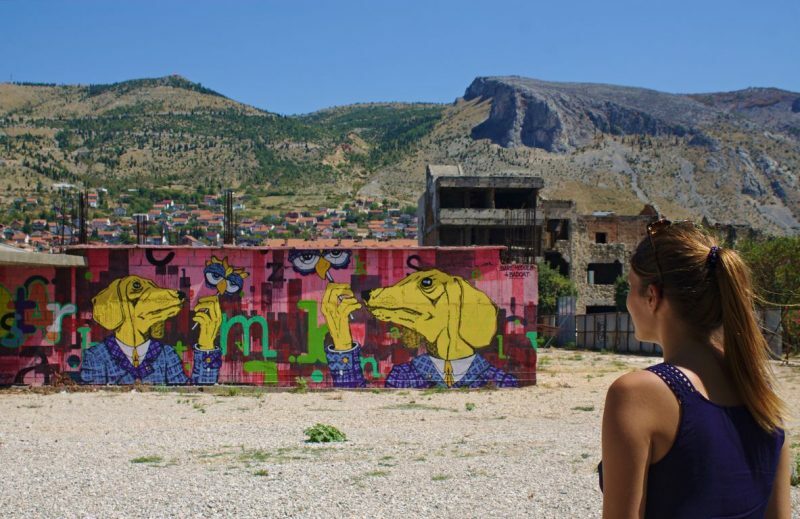 Mostar is also home to many talented and refreshing street artists that know how to redesign the ugly and ruined parts of the town so that you cannot pass a ruin without stopping for a moment. 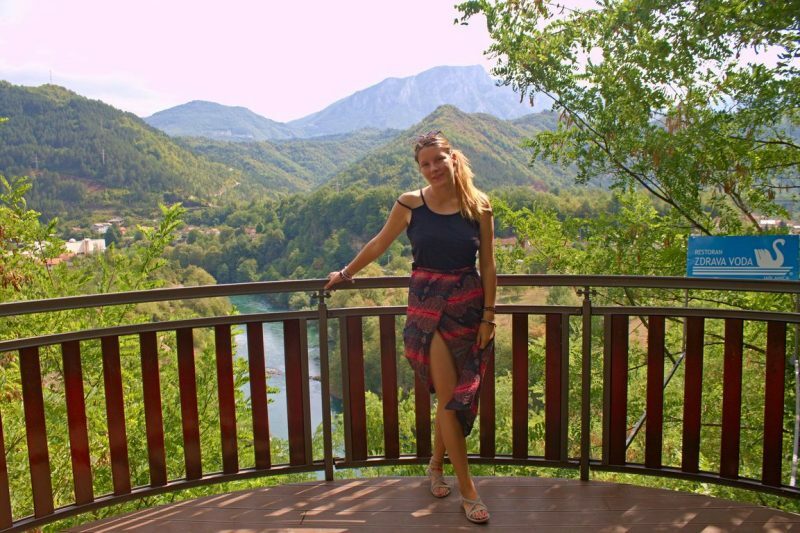 If you need more inspiration on Mostar, check out this wonderful article of Cherly Howard. We personally liked the exploration of the abandoned airport hangar in Mostar. 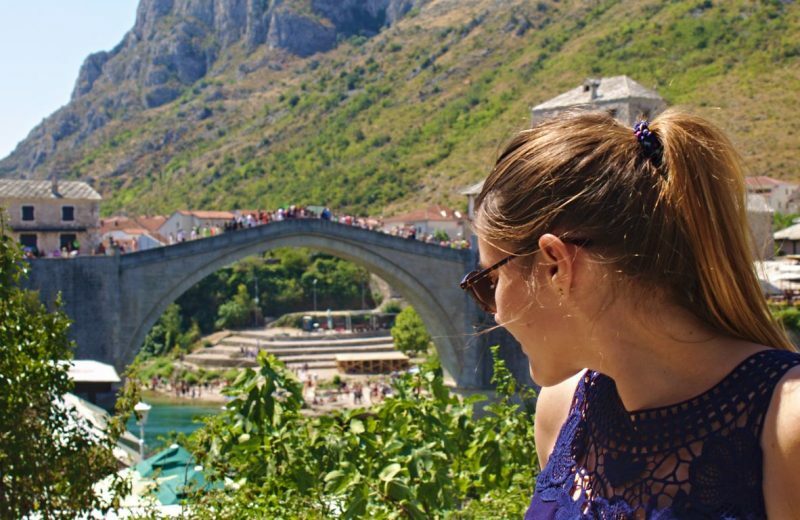 And here another one: 8 reasons to visit Bosnia and Herzegovina by the lovely couple behind Travels Of A Bookpacker. The truth of another era of this country. This city, built in the times of the Ottoman Empire, takes us to another page of the country’s history book. It stands under UNESCO protection and perfectly shows us another face of the country. Built high in the hills, this stone town bears many secrets. Climbing up the stairs to the fortress, time starts to fade and we find ourselves contemplating about how prosperous life used to be here once. The truth of a melting pot for world religions. 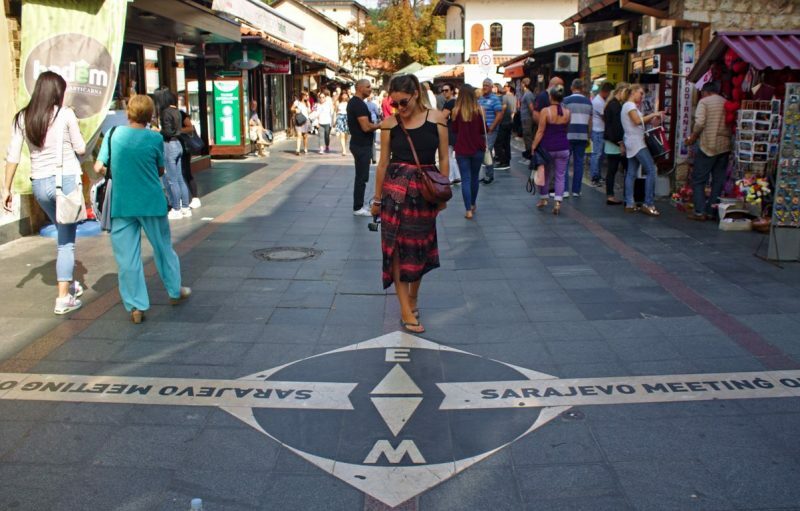 Even if there is no bridge in Sarajevo that symbolizes the unity of the different ethnic groups, the capital of Bosnia & Herzegovina can be seen as a metaphorical bridge itself, being home to 4 religious groups: Orthodox, Christian, Jewish and Muslim. The sound of the church bells. The call for prayer played from the tower of the mosque. The open doors of the Jewish Synagogue inviting everyone to feel the spirit of what is inside. World religions come together in Sarajevo. This is Sarajevo. This is where East meets West. Sarajevo has a bloody history of genocides which took the lives of many thousands of innocent people. 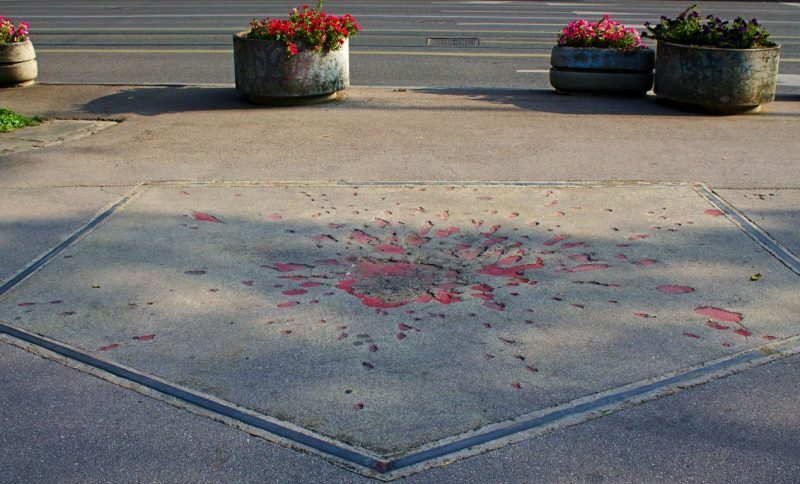 The roses of Sarajevo act as reminders to pause for a moment and reflect about a time when freedom and safety were values impossible to reach. The truth of the beauty of Bosnia’s nature. Kravica is often seen as the little sister of the Croatian Plitvica Jezera. 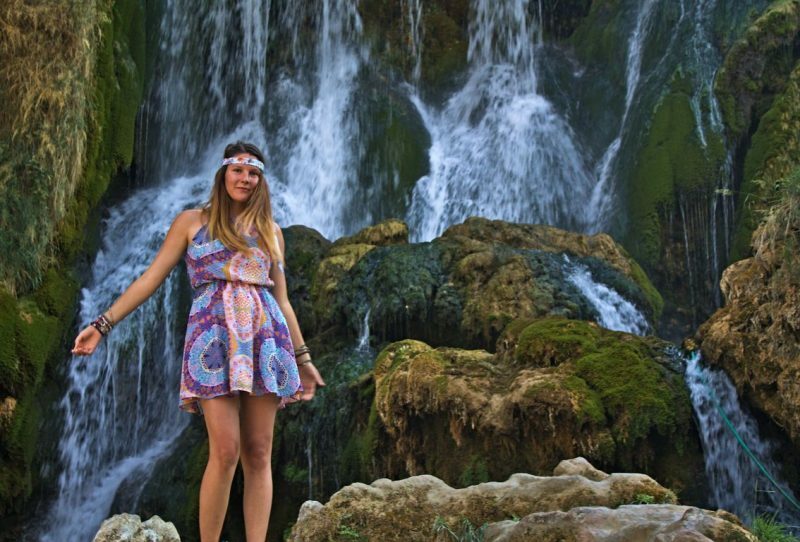 It’s located in the valley of a mountain surrounded by lush nature and scenic waterfalls. The water is perfectly clear and refreshing in the heats of summer. 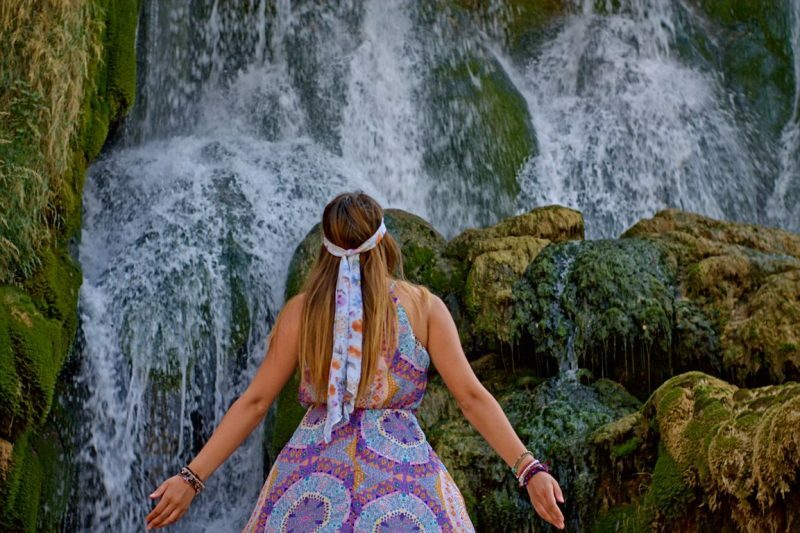 Kravica is a wonderful example of how truly beautiful the nature is between all these mountains covering Bosnia & Herzegovina. The truth of how spirituality can be a magnet for the whole world. Based on the visions of six children in the 90s who reported with vivid descriptions that Mother Mary appeared to them on a hill in Međugorje, this place was proclaimed a pilgrimage. 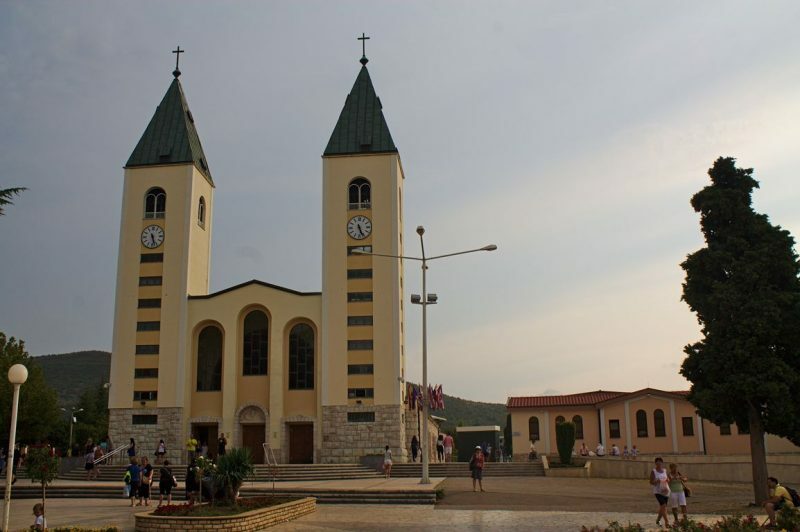 Međugorje is visited by millions of Catholics all over the world, coming with prayers for the sick and hopeless. 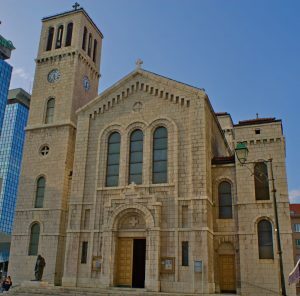 Although Međugorje is a holy place for those who believe in the healing powers of Mother Mary, everybody else is welcomed to feel the spirit and energy shaped by all those people who come here to gain hope.